Catch ‘em Alive Carlyle takes to the stars again in this collection of the original seven stories of the Interplanetary Huntress and the intrepid Tommy Strike. From the green hell of Venus to the radiation inferno of Almussen’s Comet, Gerry and Tommy take on the fiercest and most elusive creatures in the System. And bring ‘em back alive! 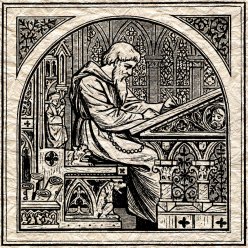 Arthur Kelvin Barnes (1911-1969) wrote science-fiction short stories in the years during and following the World Wars. His work appeared in several pulp magazines of the era, but figured most prominently in the pages of Thrilling Wonder Stories. His stories influenced a whole generation of sci-fi writers and fans, and introduced American readers to one of the first strong female archetypes of adventure – Gerry “Catch ‘Em Alive” Carlyle. 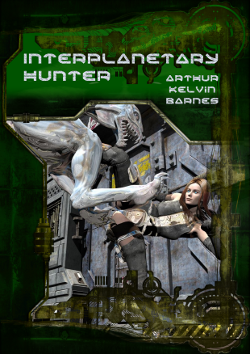 Interplanetary Hunter collects seven adventures of the most successful big game hunters in the system. Support continuing efforts to reprint classic science-fiction and purchase a 284-page, perfect-bound paperback from Lulu or download the ebook for free!